Last minute plans always seem to work themselves out…Memorial Day weekend was a good time to celebrate and California was the place to be. We ended up on the M.F. 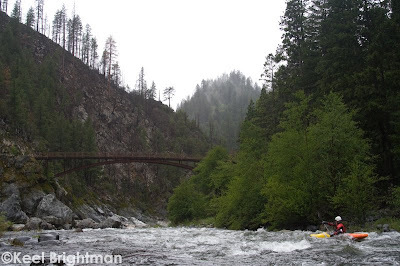 of the Feather River and even with rain in the forecast for most of the trip it turned out to be 3 perfect days of kayaking on an amazing self support trip. Rob Bart & Zack were the two veterans of this run and informed us that almost everything was read & run and high quality! 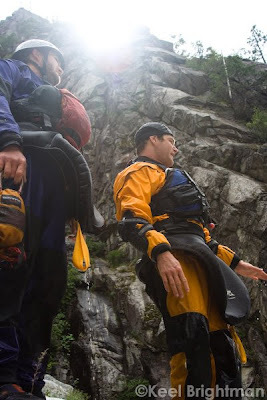 We had a couple scouts on day one in the first canyon, but mostly just great read and run whitewater all the way to camp. 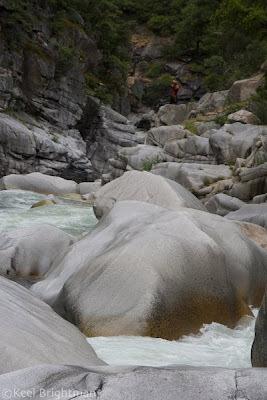 The run is broken down into three seprate canyons with Devils Canyon proper on day 3. 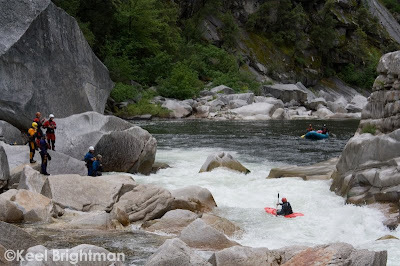 We paddled an estimated 11 miles on day one and anticipated a step up in whitewater the following day dropping into Franklin Canyon. 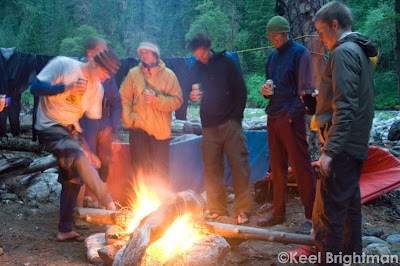 Day two started out with the crew trying to dry out paddling and sleeping gear in the rain by the fire. 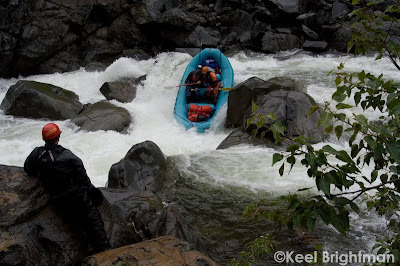 Once we had boats loaded our first big rapid was right around the corner from camp. 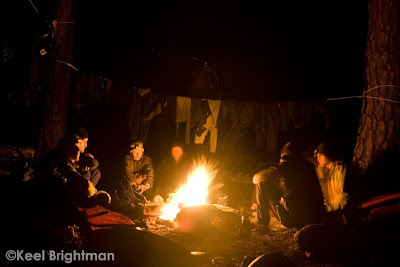 We scouted Franklin Falls, fired it up, and made our way deeper into the canyon. 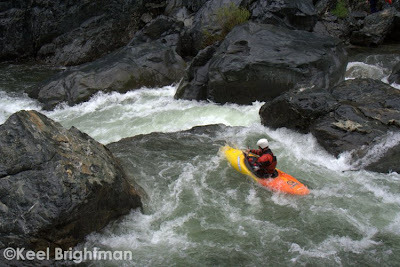 The rapids seemed to get bigger as we moved further downstream and every scout revealed a clean line through these classic pool drop rapids. 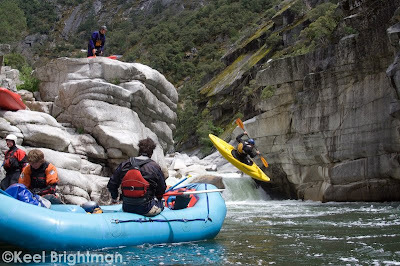 Duck the rock ledge and try to boof…. 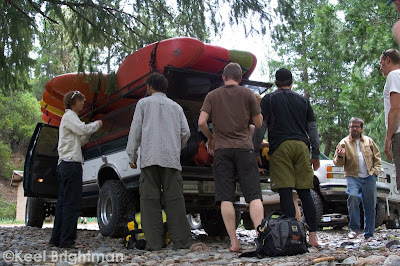 Having this many paddlers on a self support trip is entertaining to say the least. 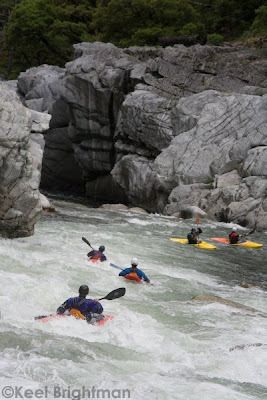 I’ve paddled with all but 3 of the paddlers in our group before this trip. 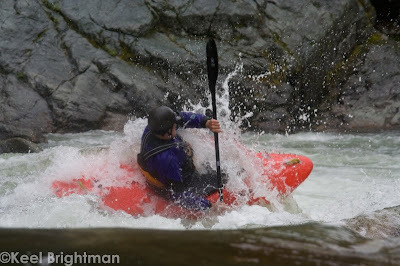 The 3 paddlers that I had just met were obviously very skilled and even on day 1 everyone in the group felt good about our overall crew. 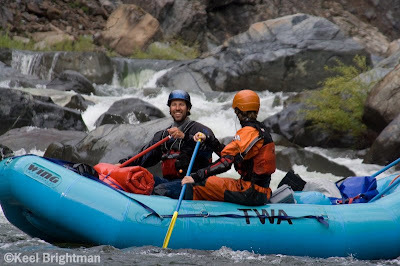 The second night at camp I listened to Rob and Zack talk about some of the rapids that we would come across on our final day in the canyon. 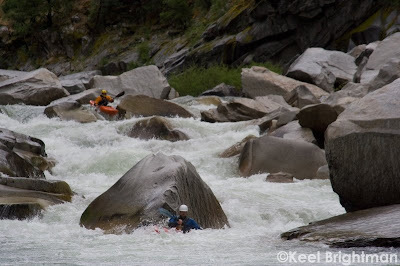 Words like: Pyramid Rapid, mandatory portage, a mandatory run through Helecopter Rapid, Double drop with a BIG hole at the bottom, a good step up in whitewater… these were enough to stir some mixed feelings when your faced with the inevitable. 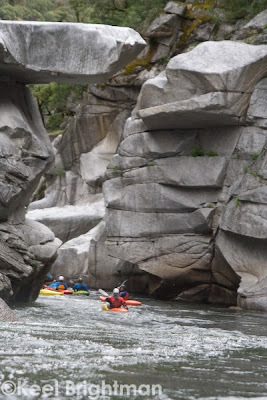 The fact that no matter what we are waking up in the morning, putting on the river, and dealing with all of these features that wait downstream, personally I was in heaven. Camped on a sandy beach on the side of the Pacific Crest Trail at the top of Devil’s Canyon proper on the Middle Fork of the Feather, fueled by the two previous days of challenging but fun whitewater in a fully loaded boat, and everything I needed would fit neatly into my craft for one final day on my first Cali overnighter…..It really doesn’t get much better than that! 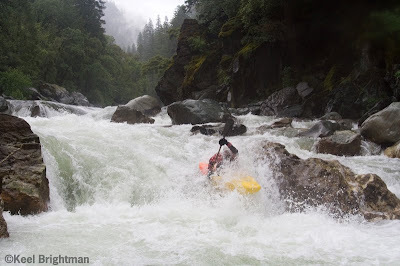 That morning I woke up to the Cali weather I had been dreaming of since we put on the river. 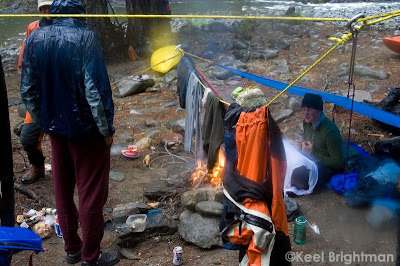 We took advantage of the hot rocks to dry our gear and had a mellow morning getting ready. On the previous day the river seemed to be picking up more flow and getting on the ‘filled in’ side. 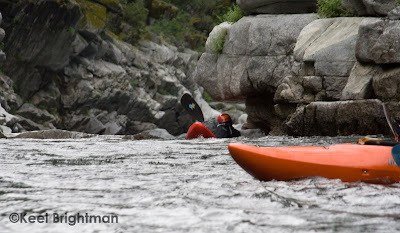 Our first scout in the canyon was a recommended portage, but there was a good line. Zack showed us how it was done and a few of us followed. 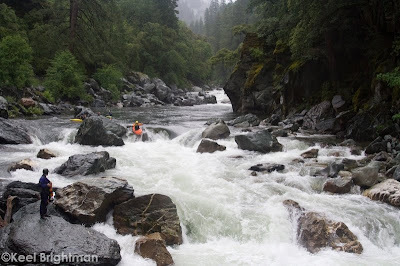 We continued downstream and found many more rapids as Devil’s Canyon built into a big cascade below Pyramid rapid. 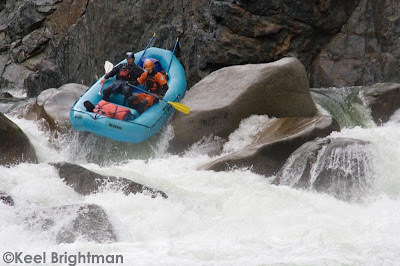 After Pyramid the river dropped over a ledge with a dangerous house sized rock in mid flow with water going under it. 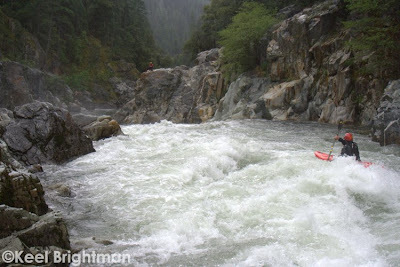 Most of us jumped on the portage trail on river right and walked the entire cascade of whitewater we saw downstream. Keel decided to hang back and roll through it with the R2 crew. 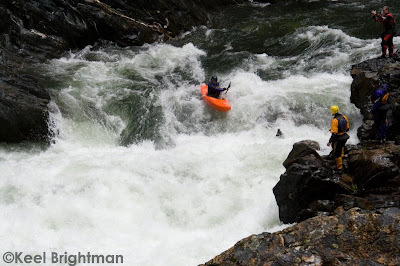 We hiked down below, had lunch, and waited on the boys to paddle through. 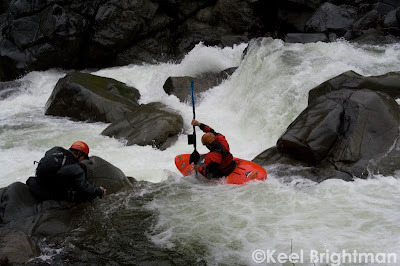 Everything worked out for them in the final drop, however, Keel underestimated the gradient loss at the bottom and finished up the line with positive beta from Jay who was a good distance downstream. Helecopter was our last scout and everyone bombed through this one after another. We paddled more great read & run, including Grande Finale rapid, down to the take out bridge and caught our shuttle out of the canyon. 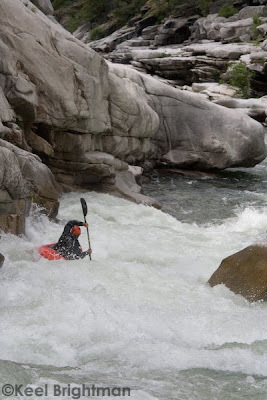 This take out is also the put in for Bald Rock Canyon, the hardest section on the MF, and it was hard to leave this river knowing that it would be possible to drop in right now. The shuttle logistics on the other hand would have to be dealt with so we reluctantly gave in and saved this one for another day. Part of the crew headed south and the rest of us went north, both in search of the same thing! Ryan, Nice Post. I look forward to seeing the rest of keels photos. What a great trip! Later..